Running until April events will look at how the past, present and future of the Midlands are inextricably linked from dinosaur bones through to the growth of communities and language in the present day. Each exhibition will be varied and includes Stones and Bones, Survivors of the Ice Age with Professor Alice Roberts through to A Cartoon History of Here. Want to travel through time but don’t have a Tardis? Well the Library of Birmingham in partnership with the Lapworth Museum of Geology at the University of Birmingham has the next best thing with Stones and Bones. The exhibition will take visitors back in time to when the Midlands was quite literally another world 600 million years ago. Visitors will learn about the different climates and creatures that lived in the area such as dinosaurs, woolly mammoths and even rhinos and lions. It will also take a look at how local geologists and scientists uncovered the region’s past and how their discoveries have shaped the Midlands both past and present. Featuring a wealth of material from the Library’s archive, heritage and photography collections as well as bones and fossils, Stones and Bones is also perfect for kids of all ages with interactive workshops, family events and talks making it a great day out for all the family. 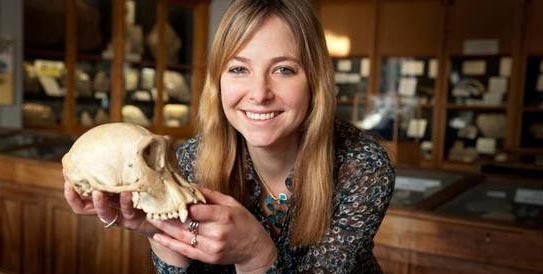 If Stones and Bones has whet your appetite for all things science and history then don’t miss this opportunity to join Dr Alice Roberts, one of the countries favourite scientific historians and well known TV personality, to learn more about the ice age. Survivors of the Ice Age will see Dr Roberts looking at the animals which connect our world here in the Midlands with the frozen wilderness of the ice age. Like Stones and Bones this is a perfect event for both adults and children as Dr Roberts is skilled at taking complex ideas and explaining them to both young and old. If all that science and thinking is a bit too much for you then how about a unique mix of comedy, cartoons, poetry and improv instead. A Cartoon History of Here includes a live cartoon created by the Yorkshire poet, broadcaster and comedian Ian McMillan and cartoonist of the year Tony Husband with help from the audience. The two men along will be reflecting upon local stories and legends from the Midlands with added poetry and cartoons. Expect a fast flowing, rapid rafting, off the cuff and memorable adventure. Professor Ruth Watts takes a look at the contribution to science made by Birmingham women to mark International Women’s Day. This entry was posted in Art, Birmingham, Exhibitions and tagged A Cartoon History of Here, Birmingham Women and Science, Library of Birmingham, Origins Season, Professor Alice Roberts, Stones and Bones, Survivors of the Ice Age with Professor Alice Roberts. Bookmark the permalink.